* Conference & Function Venue - Birthday Parties, Anniversaries, Christmas Functions, Team Building, Product Launches, . . .
* Tea Garden - Open Saturdays, Sundays & Public Holidays - Breakfasts, Light Lunches, Strawberry Cheesecake "To Die For!!!" TANGAROA Farm is the place to come to for peace and quiet, rest and relaxation. * We are NOT a resort……we are more like a retreat. * TANGAROA Farm is the place to come to, to catch up on that book you’ve been wanting to read. * An abundance of bird life to keep any birder busy for hours. * Or just sit next to our dam and watch the Ducks and Geese. The TANGAROA Farm Guest House accommoation consists of five comfortable, cosy en-suite bedrooms, each with their own, separate entrance. Several lounge areas are available for guests to relax in. A swimming pool and farm tennis court are waiting to welcome the more energetic guests. The food is superb and you can look forward to an excellent three course dinner followed by tea or coffee. Spoil yourself in the morning with tea or coffee in bed!!! Then get your day off to a great start with our buffet and full English Breakfast. The TANGAROA Farm Luxury Suites offer a more luxurious environment with a Jacuzzi style Spa Bath for your personal enjoyment. Set the mood with some sensual bubble bath and seductive candles to make your stay a most romantic one! You could start the evening with a romantic candle light picnic on the banks of our farm's dam. During strawberry season, beat our day visitors to the choicest, juicy strawberries before breakfast. There is plenty to do in and around the Hartbeespoort Dam. * Horse riding for experienced and novice riders alike. * Visit the Cheese Farm and see how cheese is made. * Stop at the Elephant Sanctuary, Snake and Animal Park, Crocodile Farm or Cheetah Centre. Abseiling, rafting, hiking, water sports, and much more. All the above packed in a basket with real Cutlery, Crockery and Glassware. The only paper product is your serviette!!! Bookings essential, at least 24 hours in advance. TANGAROA Farm is a working farm specialising in the Romance of Weddings all year round and Strawberry Picking in Spring. The Old Mill Chapel is a quaint, candlelit farm chapel. Seating up to 150 guests, it has a rich, rustic ambience that exudes warmth and serenity. 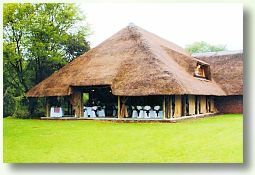 Reflecting in the shimmering waters of our dam, the thatched Reception Venue, with a wooden deck at the waters edge, can seat up to 200 guests, or alternatively you could have a picnic reception on the lawn !!! Our Resident Chef has created several mouth watering options for you to choose from to ensure that your guests can share in the gastronomic delights which are on offer. Bring yourselves and a picnic blanket for a refreshing day out in the country. (Undercover areas are available in case of rain). We visited Tangaroa on a cold Sunday, which meant that other than the animals, we were alone. The picnic basket we ordered was filled with goodies and the day around the small lake pleasant under a sprawling tree. The staff were friendly and the hungry ducks and hens even friendlier. The directions are easy and direct, although they are written from Johanesburg way. During the Strawberry picking season they are very full and one needs to phone ahead, to find out if the fruit is ripe and also to find out about space. 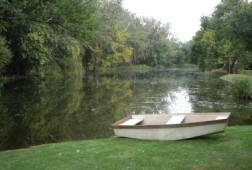 Not a large picnic area, the farm is also fitted for functions and makes a beautiful location. Children are catered for with a jungle gym area, pigs to feed / admire and bunnies to find. This needs to be a day outing at least to visit some of the other attractions and stalls at the same time.